Krynica-Zdrój is situated in Beskid Sądecki, in the valley of the stream Kryniczanka. It is surrounded by the hills of Góra Parkowa, Góra Krzyżowa and Jesiennik. is colloquially called Krynica Górska. Krynica ( named Krzenycze) had existed before 1547. It was not granted a town charter till 1889. The town covers the area of about 4000 ha. There are about 11 400 people who live in the urban district. 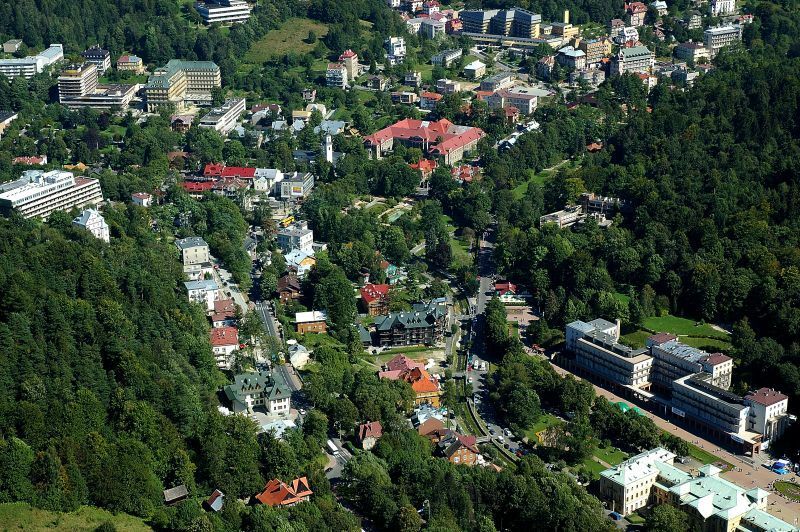 In Krynica-Zdrój human population density is 326 per sq. km. Emil Bodziony has been a mayor of Krynica-Zdrój since year 2002.